Nearly 2,000 yuan a shirt, four-digit winter coat ... ... into the winter clothing equipment season, but no matter the big shopping malls and small wholesale markets in Beijing, all the clothes inside the price increase. Many white-collar workers looked at the soaring prices of winter clothes and could only reluctantly pull out old clothes from last year. Exclamation: "The time when the clouds want to spend on clothes and clothes" has passed. Why is this winter so expensive? Mall: Clothes enter the four-digit era often shopping mall Li Xiao said that last year, the general brand of clothing in the mall sold for three-figure number, the case of thousands of shirts, thin sweaters only in the main high-end consumer The shopping mall is common, but this year, it is not uncommon for the price to be a thousand dollars. Yesterday, I saw in ONLY, VeroModa stores, where a down jacket was priced at 2,499 yuan, and labels of "1499 yuan", "1599 yuan" and "1699 yuan" were seen everywhere. When the author said that the price of clothes is a little expensive, shopping guide recommended a coat to the author, the price is more than a thousand. The shopping guide in the store said: â€œThe price of clothing has gone up. Of course, what is not going up now.â€ When the author asked, how much did it increase? Shopping guide, it is two or three hundred. At the Guiyou Building Tongzhou store, the number of customers here is not too much, but it is rather â€œfireâ€ to see the marked price. In the Kaltenden counter, a long down jacket is priced at 4,480 yuan, and a short paragraph down jacket is priced at 3,980 yuan. When the author saw â€œfrightenedâ€, the counters said: â€œWe are playing 10% off here. We have sent more than 1,000 shirts or sweaters worth 3,800 yuan.â€ The author asked: â€œThis price has risen a lot compared to last year?â€ Counter personnel said that there was a three-five hundred increase over the previous year. The coat will be forbearing. Just as the counter staff persuade the author: "You can wear it for two or three years." But I saw in the mall that the shirts are all four-digit. A Goldlion casual shirt priced 1,340 yuan, the neighboring one seems to be reluctant to show weakness, a shirt's price tag reads "1980 yuan." "It's too expensive, too expensive!" The author interviewed several customers randomly outside the mall. They all said that they would not be able to tighten the waistband by buying a piece of clothing. A customer looked at the sky and said: "This has just entered the four-digit era. A month's salary for a piece of clothing is almost gone." "Activity": winter clothing market prices double the price of clothing in the mall so high, to "dynamic approval" to Amoy for cheap clothes can always be right? However, this year's zoo wholesale market has disappointed many old customers. 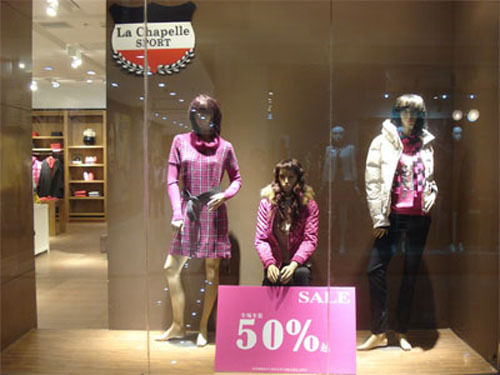 The expensive winter clothing has almost doubled from last year, and the price is not much cheaper than shopping malls. Yesterday afternoon, Yang Yang, a citizen of the Jurong Shopping Mall who had circling around for three rounds in the â€œDynamic Approvalâ€, left home empty-handed and one of them did not make any gains. "Although the price has been rising, you can get a two-piece reward each time you go to 'dynamic approval', but this time you really can't afford it." Yang ** told the author that the wholesale market and shopping malls are similar. This winter's outfit is particularly noticeable. The previous three to fifty one-piece suits were pretty good, and now they have hundreds of them. "I used to spend more than 200 yuan to buy ASK ox horn button coat, very durable, the same one this year to 400 yuan." Yang ** shook his head and told the author, for a month to earn more than 4,000 yuan of office workers, each Buying clothes for a month costs 800 to 1,000 yuan. It has been very difficult. But in fact, such prices cannot buy one or two good clothes in the wholesale market. Yesterday, the author in the "dynamic approval" Julong Mall to see this winter has been a large number of shelves, although the price is cheaper than shopping malls, but still a lot more expensive than in previous years. I saw an ordinary men's cotton plaid shirt, before the general 50 yuan to 80 yuan or so, this year's price is 150 yuan, the boss asked to 130 yuan to say what is not willing to cut prices. A cotton coat with a fur collar opens at 400 yuan. Although the price is cheaper than the mall, last year's coat has been at a price of more than 200 yuan. Sweaters on the court generally start at 150-200 yuan. Jeans have risen from tens of dollars to about 120 yuan. What are the reasons for the doubled booth fee this year? This autumn and winter clothing is so expensive? The owner of Zhao, who had been operating for 8 years at Julong Mall, told the author that this year's wholesalers' clothing from manufacturers was much more expensive, and the stall fees almost doubled within a year. Many people could not pay because they could not pay for it. Such a high price was withdrawn. â€œIf I had not opened here for 8 years, I would not have done it before. I couldnâ€™t afford it at all.â€ Zhao boss told the author that from the freight point of view, the cost of transportation from Shandong, Guangzhou and other places to Beijing has increased this year. 30%, this cost is to be included in the terminal retail price of the garment. In addition, according to the location of a booth in the market, the monthly rent is between 20,000 and 30,000. In the previous two years, the price was only around 6,000 yuan and 8,000 yuan. â€œYou said, when will the cost of selling 300 or 50 garments come back?â€ Zhao boss told the author, the merchants here are changing quickly this year, and many merchants who cannot make money have already moved away. In the past, there were more merchants receiving wholesale and there was no match for retail sales. Nowadays, merchants are very enthusiastic about seeing retail, as long as they can clear the goods. The increase in the wholesale market price has a direct impact on the retailer, which I see. In the market, you can't see a merchant who pushes a hill with a cart. One girl who is purchasing for her own store told the author that the high price is not easy to sell. His family was very cautious to purchase. At this time last year, he took 10 clothes in one store and only took 2 or 3 pieces this year. The girl pointed to a colorful cotton sweater to tell the author that last year she got goods at 50 yuan, almost like this year, getting goods is 85 yuan. The reason why the price of cotton is the most closely related to the cost of clothing is the price of cotton, but cotton has little to do with the high price of the terminal. According to industry sources, the price of cotton in the fall was significantly higher than the price of more than 30,000 yuan per ton in March. However, the price of clothing closely related to cotton prices has not been loosened. Jiang Hengjie, an advisor of the China Garment Association, told the author that garments usually take three to four months from design to order production. Most of the clothes made now are cotton of this spring, so the current autumn and winter clothing prices are still high. In addition, the increase in production costs is an important reason for clothing prices. In the traditional garment processing and manufacturing cost components, the raw material cost accounts for 60% to 75%, and the processing and manufacturing cost accounts for only about 25%. The current situation is that not only raw material costs and processing costs are rising, but also in the production process of garments, the cost of raw materials, energy, and labor will increase, and the ex-factory prices of apparel products will rise accordingly. Liu Cheng, a researcher at the China Circulation Productivity Promotion Center, has long been concerned about the trend of clothing prices. He disclosed to the writer that the reason for the high price of clothing is that the rigid rise in manufacturing costs is bound to be passed on to the next link. This is the most important reason for clothing price increases. For example, the rise in oil prices in the domestic market has caused freight costs to rise, and the price of apparel has naturally risen. Moreover, polyester fibers contained in clothing fabrics are all synthetic fibers, which are by-products of the petrochemical industry and the coking industry. International and domestic oil price increases will also cause clothing prices to rise. Workers' wages also follow the market, which is one of the drivers of high clothing prices. A garment factory in the southern suburbs of Beijing told the author that skilled workers are currently unable to recruit and that the wages of workers have risen by more than 10% this year. If staff shortages continue, the cost will increase. Liu Cheng, the clothing sales section, told me that the increase in labor costs was a reason for the increase in clothing prices this year. Many passes in circulation also pushed up the retail price of clothing. The difference between the factory price of clothing and the final retail price was different. Larger, constantly increasing prices in all aspects of its circulation, resulting in a huge price difference between its terminal retail prices and factory prices. â€œIn the apparel sales process, labor, logistics, warehousing, advertising investment, channel construction, shop rental, and utilities all increase, and the sales price of clothing will increase.â€ For example, he said that a T-shirt costs more than 20 yuan. However, if you go out from the factory for about 30 yuan, you may turn into a provincial agent and become 50 yuan. When you flow into a city-level agency, the price has risen to 80 yuan. The final pricing for entering the retail terminal is determined by brand awareness. , The average brand may increase the price about 5 times, that is, 6 times the purchase price, well-known brands can even reach 10 times, the top international brands is up to tens of times. "The era of inexpensive clothes and cheap clothing may be coming to an end." The industry experts finally said in an interview.